This article addresses many different ways you can experience anxiety in your daily routine. From the pressures of technology and constant communication to the social scenarios around every corner, there are many things that will set off daily anxiety, so being aware can help your approach to treatment. Being constantly exposed to technology can be pretty overwhelming for most of us. The added stress of always keeping on the ball with messages and social feeds, it can cause a lot of anxiety. From Facebook messages to WhatApps GIFs, keeping up to date with what’s important in the news to communicating with friends and family, it can be too much. Making sure you’re aware of the pressures that social media communication can hold, can help your daily routine. The pressures are real with millennials according to a study. 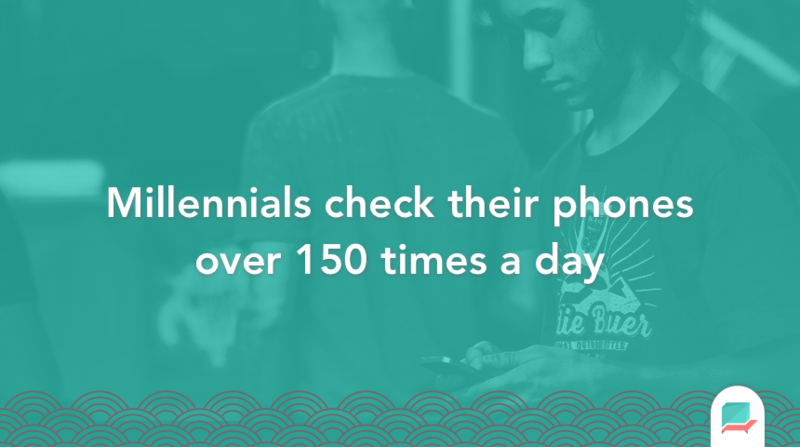 Millennials check their phones over 150 times a day, which is huge. Daily anxiety sufferers are bound to feel overwhelmed and struggle with this constant barrage of messages to keep on top of. Combine that with emails, calendar events and to-do’s and you’ve got a recipe for stress. One of the best ways to address this is to reduce the need for social media and spending more time offline interacting in moments with your loved ones. A combination of offline experiences with a healthy routine will help remedy this. If your suffering from daily anxiety, chances are your self-confidence is low. Confidence in your thoughts and emotions might be very much depleted as they navigate your day, causing genuine stress and added anxiety. Pre-existing issues with your self-confidence can have a massive impact on your routine. Everyday situations like commuting, what to wear to work, social events… can be affected by your lack of self-confidence. Some elements of life that can help us grow, like dating, meeting new people, learning new things can be halted because of our anxiety getting in the way of this. Combatting self-confidence is a longer-term strategy, but the investment to focus on your self-confidence can really help you move through life and achieve your goals. Speak to your therapist about the ways you can boost self-confidence. If you don’t have a therapist, Therachat offers special premium activities to improve your self-confidence on your mobile phone. Guests showing up at your door can throw many people off. Anxiety sufferers, like yourself, can be prone to anxiety when this situation occurs. You’re not alone in this. Many people show up unexpectedly and many people feel socially pressured when that’s the case. Your plans and schedules don’t have to be over. Making yourself aware of how to deal with unexpected guests and even situations can help massively to navigate awkward scenarios you may find yourself in. Creating healthy conversations with a defined end might help to interact with unexpected guests and build the confidence you need to strive in social situation. Whether it’s work or a social event, being in these situations can put you under an amount of pressure to keep up and brighten your mood. Social situations affect many different mental health conditions and even those who are introverted can suffer from stress and daily anxiety when being put in these environments. Even meetings and work events can cause pressure you might find unbearable. Making yourself aware of the power of your energy in these environments is valuable. If a social situation gets too much, there’s a chance it’ll soon kickoff your anxiety, so making sure your aware of how you feel and navigate your behavior based on this energy. Everyone makes mistakes, but in a world of Instagram perfection, it doesn’t feel like it. You might be feeling daily anxiety when it comes to your day-to-day errors. Whether it’s a workplace mistake or an everyday one, for you, it’s easy to take these to heart and ponder on them. Of course, learning from our mistakes and extracting how to not replicate them is important, making them personal and dark can spiral you in a bad direction. Picking up on your mistakes and proactively thinking through them is something to endorse during treatment. 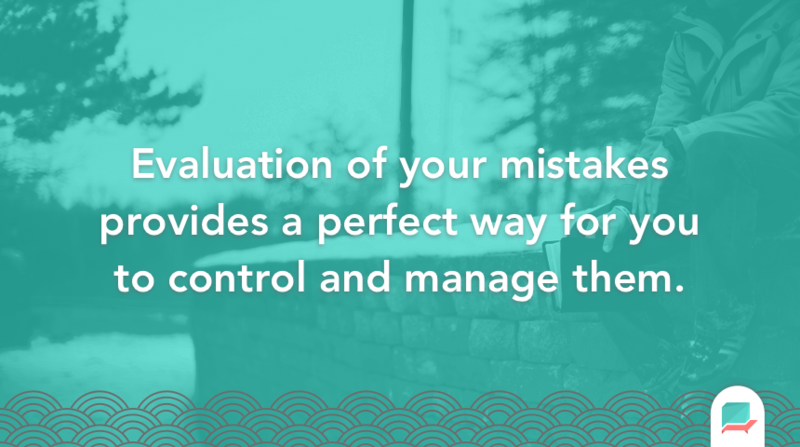 Evaluation of your mistakes provides a perfect way for you to control and manage the mistakes. Keep yourself a tally of your mistakes and equally, lessons learnt from each one to bring to sessions to help them refine their takeaways. Social media has been one of the biggest issues in the last 10 years when it comes to causing anxiety and stress. There are many apps like Instagram and Snapchat which present an impressionable life with glamorous photos and a no-worries lifestyle, but don’t be fooled. You might start to take these as reality and realize that your daily routine might not be of the same quality, due to your many concerns with anxiety. .
Making yourself aware of this social media filter approach will help to re-frame how you see social media. There is no perfect lifestyle, and making you feel comfortable with your own personality and interests can help you grow self-confidence to. Besides, many social influencers struggle anxiety too. Medical concerns can occur each day. Some may be caused by your anxiety others might be your natural human reaction to certain illnesses or even viruses, but making sure you are aware of how a situation affects you is important when it comes to monitoring your health. If not too intense, logging symptoms and your feels, bringing them to the attention of your therapist during a treatment session or to your doctor might help clarify what’s going on. With more intense conditions, assess this and contact emergency support if that’s what you need. Please seek medical advice surrounding medical conditions. An anxiety sufferer might find smaller spaces a little overwhelming. From the elevator to a small room, tight spaces can cause panic attacks or intense anxiety for you. Avoiding these types of places might not be practical, but making yourself aware that you can seek advice on this can help you. Cramped situations will in the short-term cause stressful situations but once addressed in therapy for instance, it can help reduce anxiety when you are in these situations. Fluctuation of mood is a real possibility during the day. 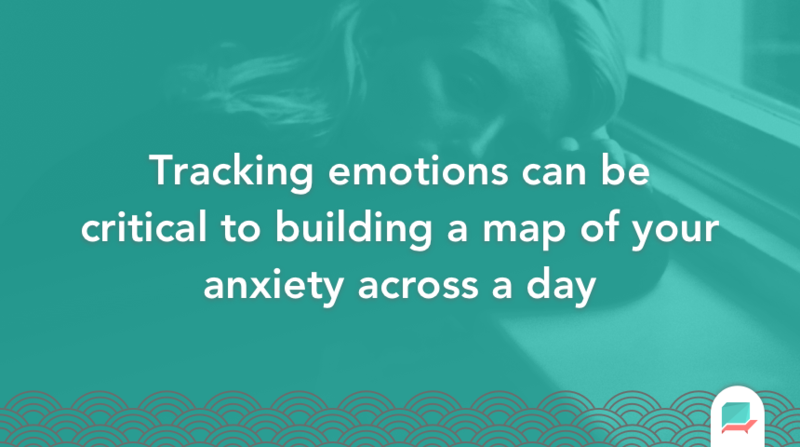 Tracking emotions can be critical to building a map of your anxiety across a day. One moment you might be feeling happy and confident, the next you might drop to you all-day low, feeling down and stressed. Keeping an eye on your mood and fluctuations in mood will play a good role in monitoring your anxiety. Asking yourself to keep track of emotions and moods can provide you with a toolkit for working out what stimuli affects these elements of the day. 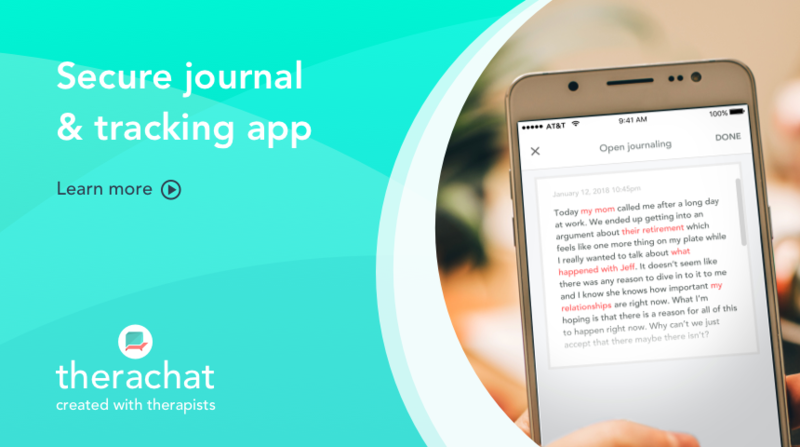 Therachat offers a free, mobile emotion tracking and journaling app and can help you keep track of your mood fluctuations. Making any form of decision can provide much stress and anxiety for those with anxiety conditions. Anxiety sufferers find it hard to make even the smallest of decisions in your daily routine they feel like they don’t have control and making these decisions or maybe even the biggest thing about your week. Everyday decisions can play a bottleneck in the progress of the therapy. Being aware of how you can control your decision making can be a valuable tool in your daily life. All of these recommendations all of these experiences are things that daily anxiety sufferers experience. There are so many more micro situations of where you will find anxiety can come between you and your daily routines but these are some of the major situations they you can come in contact with.